Yes, over the last several weeks I have been planning a wedding, ordering a cake, dress, chapel, etc. Then scheduling the honeymoon, including plane tickets, rental cars, Disney and Universal Studios tickets. We went to Orlando for our honeymoon!! I felt just like a kid again. You know when the car gets close enough that you can see the rides and then you park and walk up to the tram and it takes you to the front gates of the park?? I felt like that every day for a whole week! I enjoyed a three-day wedding suite in Las Vegas being spoiled like royalty…Well I didn’t have to cook or clean so I’ll take it! I ate wedding cake, drank champagne, and dined out throughout the weekend. Also, I must point out that I am one of those who weigh myself daily, keep a journal of everything I eat and drink and how much exercise I get. 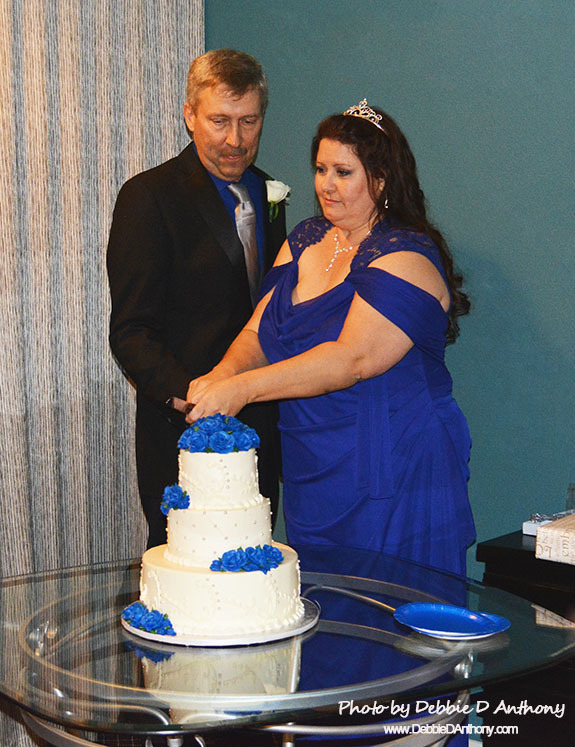 But its my wedding so I decided to enjoy this special time in my life and not stress myself too much over my weight. So no scale and no journal….no, really. Then the fun continued with a 7 day honeymoon vacation to sunny Orlando, Florida!! 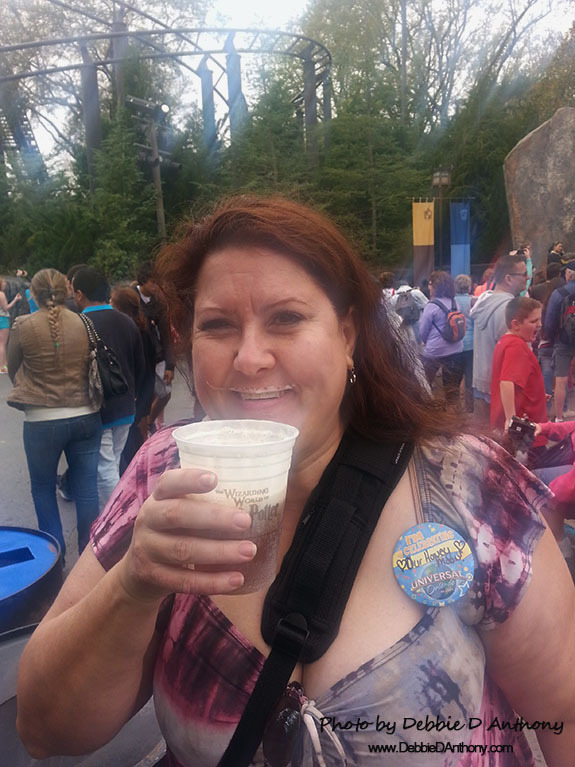 We visited Harry Potter land (that’s me above drinking butterbeer at Universal Studios Islands of Adventure- checkout the button!) and Mickey Mouse and the gang. And, there was more dining out on good southern food which I have sorely missed. All the time, in the back of my mind, that little nagging reminder that I will seriously pay for this when I get home and get back on my scale. However, it was all over way too soon and it was time to return home as a newly married woman and get back to the day-to-day grind. The biggest worry weighing heavy on my mind was how much weight have I gained? How far will this set me back on my weight loss journey? And…How long will it take to lose it back? SURPRISE!!! I got on the scale the next day and only gained 1.4 lbs!! I couldn’t believe it! If not for my lap band keeping the quantity of food in check, I am sure I would have gained 10 lbs at least. I am so grateful for the decision I made to get the band. I lost that measly 1.4 lbs within 4 days and now I am back on track with no ill effects of a wonderful vacation. Only great photos and memories of a beautiful wedding and fabulous honeymoon!